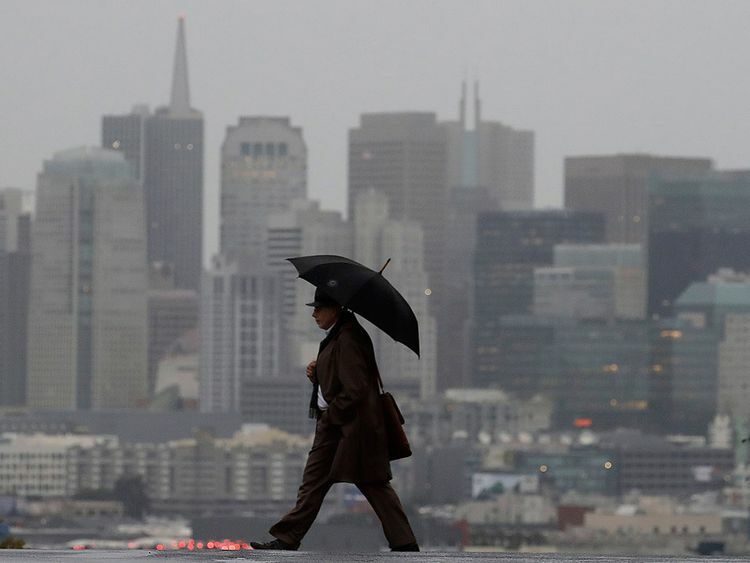 San Francisco: A powerful storm bearing down on California on Friday was expected to produce heavy rainfall, damaging winds, localised stream flooding and heavy snow in the Sierra Nevada, forecasters said. Evacuations were ordered or recommended in advance for residents of some of the many areas stripped bare by huge wildfires over recent years, exposing communities to potential debris flows and mudslides. Rain began falling in northern parts of the state during the late afternoon and was expected to reach the south late in the night and last through Saturday night. Flash-flood watches were in effect for areas that had been hit by wildfires and were extended on Friday evening to the entire San Francisco Bay Area and most of the Central Coast. Winter storm warnings went into effect in the Sierra Nevada along with avalanche warnings on the Nevada side of the range. The Sierra is already loaded with snow from a series of storms in January. Flash-flood watches took effect in areas scarred by three huge wildfires in Northern California as well as in Los Angeles and neighboring counties. The National Weather Service issued flash-flood watches for areas burned by the Mendocino Complex, Camp and Carr wildfires in Northern California. The Los Angeles suburb of Burbank called for voluntary evacuation of a neighbourhood by early Saturday. Riverside County warned people living near two fire scars to be vigilant and ready to leave. The National Weather Service office for the Los Angeles region warned of potential rainfall rates of an inch an hour in some areas. "This certainly will create a significant risk for debris flows in and near the recent burn areas, and the flash-flood watches are very much warranted," the office said. Forecasters said two cold weather systems will follow on Sunday and Monday, bringing additional widespread showers and snow.